Organic skin care for acne-prone skin types. 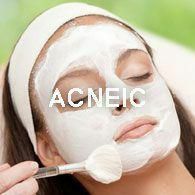 Ajne has developed gentle, effective skin care that calms the oil producing aspects of acne prone skin. 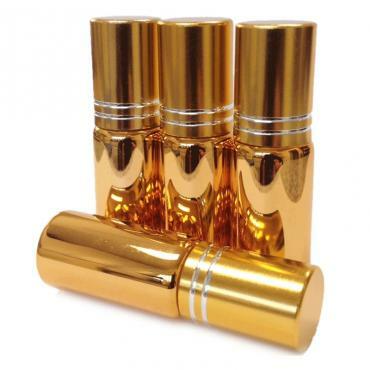 It gently removes debris and maintains the perfect moisture balance. We invite you to experience it for yourself. Your skin will thank you! And remember, we have samples so you can try before investing in a full size! Our Detoxifying Serum alters the typical behavior of acne-prone, con..
Our Detoxifying Serum alters the typical behavior of acne-prone, congested or oily skin by specifically addressing the 5 primary causes of skin imbalance. It regulates sebum production, eliminates bacteria, inhibits over-production of fatty acids, reduces inflammation and contributes essential nutrients to the skin cells. Over an 8 week independent clinical trial, tests proved that our formula reduced the 5 primary causes of acne by 78%.Click here to check out celebrities that selected our organic skin care (please note: for their privacy, we don't share the exact skincare item they may have purchased). To see it in magazines click here. Supercharge It! We invite you to supercharge your formula at no extra cost. Add up to 2 formula fortifiers - compliments of Ajne.Usage: Apply 3 to 5 pumps to face and neck after cleansing. Gently smooth into the desired areas especially those vulnerable to dehydration and sun-exposure. They will instantly absorb into thirsty ..
Our incredibly effective Cooling Cucumber Mask soothes, refreshes and ..
Our incredibly effective Cooling Cucumber Mask soothes, refreshes and cools sensitive skin. The formula contains vegetable-derived collagen. So it plumps dehydrated tissues. The mask is also fortified with moringa seeds, well-known for their purifying and deep cleansing benefits. and it smells divine!Click here to check out celebrities that selected our organic skin care (please note: for their privacy, we don't share the exact skincare item they may have purchased). To see it in magazines click here.Supercharge It! We invite you to supercharge your formula at no extra cost. Add up to 2 formula fortifiers - compliments of Ajne.Usage: Apply to moistened face and neck, especially focusing on sensitive skin area. Allow to remain for 5 to 20 minutes. Rinse thoroughly or remove with clean, warm moistened cloth. Follow with floral water or select Ajne moisturizer, serum or treatment.Contains: Aloe vera leaf juice, vegetable glycerin, Indian senna seed polysaccharide, scleroti.. Deep Cleanser purifies and detoxifies without drying or sensitizing .. Deep Cleanser purifies and detoxifies without drying or sensitizing the skin. It contains a proprietary and naturally-derived, non-synthetic, corn, fruit, flower, herb and bark-based complex that calms oil-producing glands, while eliminating bacteria. What's more it reduces inflammation that has been scientifically linked to the formation of acne. The formula is perfect for oily and acne-prone skin types.Click here to check out celebrities that selected our organic skin care (please note: for their privacy, we don't share the exact skincare item they may have purchased). To see it in magazines click here.Supercharge It! We invite you to supercharge your formula at no extra cost. Add up to 2 formula fortifiers - compliments of Ajne.Usage: Apply 1 to 2 pumps to moistened face and neck. Gently massage with finger tips onto the desired areas with small circular motions. Rinse thoroughly or remove with clean, warm moistened cloth. Follow with floral water or select Ajne moisturi..